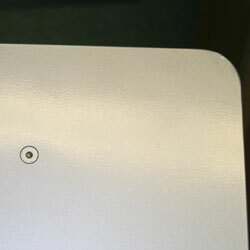 The process that is used to create these lecterns has been improved. To avoid the bump or dimple created from welding the tubes to the top and bottom, we have changed how the tubes are attached. 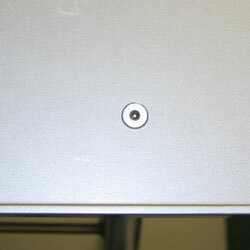 We now use a counter sunk screw to hold the top and bottom tubes.